What are the two types of Errors in Computer Programming ? There are few common ways to classify types of errors in computer programming. We are going to look at the two most general types of errors. At the bottom of this post, we do address a third type of error that is sometimes studied. Does not prevent the program from running (or at least starting) . While it is possible that a logic error might, eventually, cause your program to crash, your program will at least start up and begin running with that logic error. leads to unexpected results. Below is an animation of a logic error in Penjee. As you can see the program starts correctly but because we turned the wrong way, we end up crashing into a wall–these were unexpected results for the programmer when she first wrote that code. We cover logic errors in depth here . Syntax Error– Exactly what it sounds like! You messed up some language’s syntax . 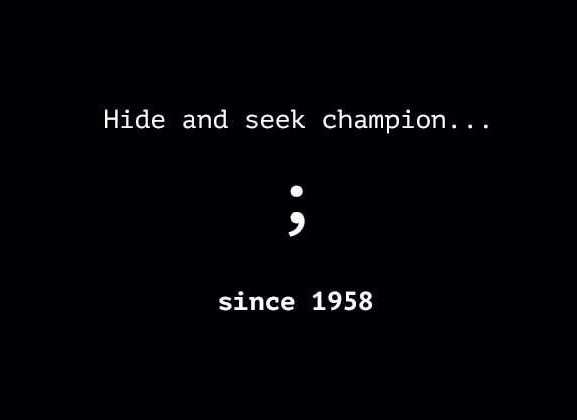 Maybe you forgot to put a colon or a semicolon somewhere in a Python script or maybe, in Java or C++, you forgot a semicolon . Pretty much every programming language goes through a parser, and all syntax errors can be detected by the parser. Let’s look at some examples of syntax errors. In the first example below, the print statement would have worked in the old version of Python (python 2), but one of the big changes that came with Python 3 was the new requirement to put parenthesis around the argument. 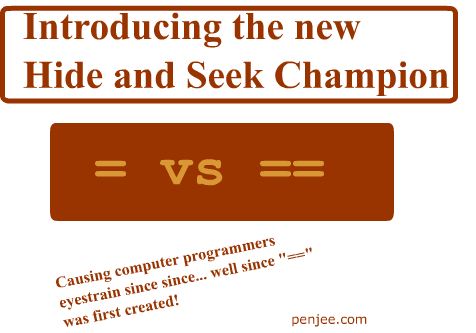 message = "Penjee is for Python"
Syntax errors are much easier to catch because your compiler/interpreter will be able to catch them for you. In fact, many IDE’s will give you a warning about syntax errors, no need to even run the program. Logic errors, on the other hand, can be quite challenging to diagnose and fix. Look at the Java code below and try to determine if it’s a logic error or a syntax error. The Syntax is completely valid, but the programmer confused “=” with “==”so it’ s not a syntax error. This would be a semantic error! Yes, there is a third type of error that many people recognize and this would be an example of one of them! What about other types of errors? The first printf will show “123,” while the second will show the memory address of the pointer. (Ok ok, this is a tough one to understand without having studied a pointer based language, I know. But it’s a classic example of semantic error). def = "my definition is too wordy"
What’s the difference between Syntax and Semantic error types ? Let’s use some analogies with the English language . – Now, is the quote above an error in syntax or in semantics ? The answer is, semantics! Because the syntax (or grammar) of the above words is fine, but when you take all of these words and try to combine them into 1 meaning, you can’t! That’s a problem in semantics. Is it really so cut and dry as this analogy? Unfortunately, the answer is no. As nice as it is to use an analogy to English, as we try to understand semantics and syntax, there is one big and important difference between programming languages and human languages : context . Natural languages have a “context” in which statements are understood. "The thief was sentenced to six months in the violin case." We would assume that the person will not be placed inside a violin case. "The English history teacher marked the test paper." This text is ambiguous – a teacher from England teaching history or a teacher teaching English history are equally valid interpretations. That is, programming languages are less likely to have ambiguities caused by context, so, with that in mind, you can argue that semantic errors are a subset of logic errors or, at least, are a very small portion of the overall “error pie “. Compile Time Errors – Any error caught by a compiler. A compiler translates source code into a form that can be understood by a machine . Compilers can catch type errors. So if you declare that a variable , in Java for instance, is an int but then your code treats it as a String. Then the compiler will catch this error and point it out. In fact, this is one of the main reasons that many programmers prefer static languages . Static languages like C++ or Java require you to declare what kind of data a variable or argument is . Compilers are able to catch all syntax errors and some semantic errors, let’s look at two generic pseudo code examples. In the code above, the compiler doesn’t catch the error that arr does not exist so it’s not until you actually run that code that you learn about the error! Read Anders Kaseorg‘s answer to What is the worst mistake ever made in computer science and programming that proved to be painful for programmers for years? on Quora .